Venda’s House Night invites DJ Kudi & DJ Chester. DJ Kudi is into House music by Sander van Doorn, Fedde Le Grand, and Kaskade. His music is base on electronic beats and mixes multiple tempo. DJ Chester is influenced by Moksi, Chris Lake, and Kryder. His music style is soft with hard beats, especially good at mixing music into new mosh pit. 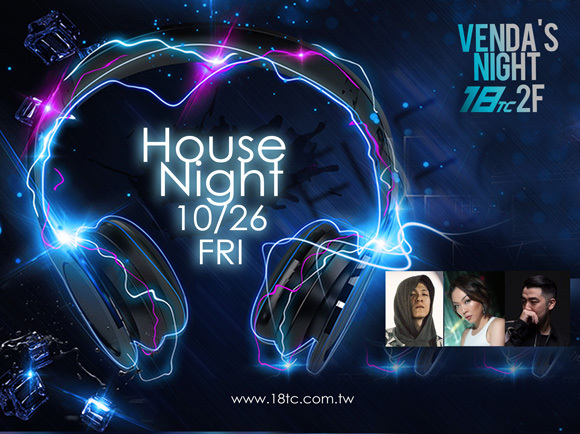 DJ Kudi, DJ Chester, and 18 DJ Rao are gonna bring you a wonderful House Friday night!